Vincent Lovejoy's wait is over, she is HOME! Sometimes timing is everything and Joy found her forever home with Ellen and John (not pictured) in Sharonville. Ellen met Joy at the Valentine event and fell in love but was going to be out of town for a week before they could adopt her. 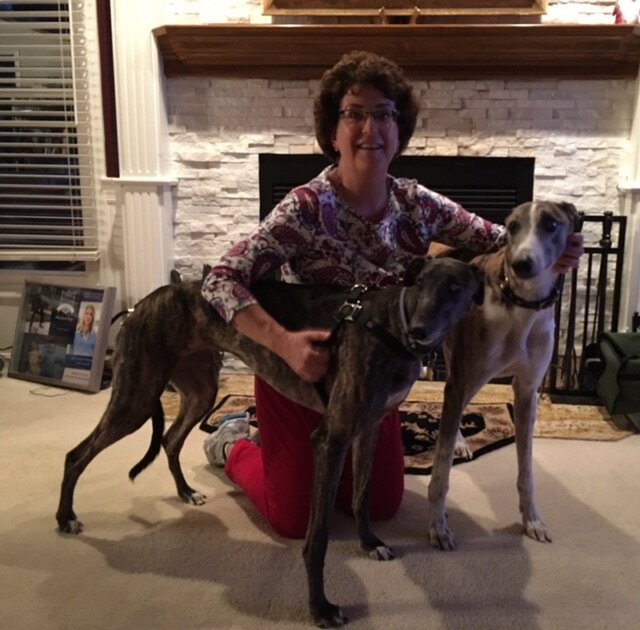 This family has had several greyhounds and is aware of her special needs. Their greyhound, Sheriff will help Joy adjust quickly. They have a quiet home and a good routine, exactly what Joy needs to gain more confidence. This adoption means a lot to me and GAGC, she deserves a greyt home!